Columbia Records will release the 'Born To Run 30th Anniversary Edition' box set on November 15. Personally supervised by Bruce Springsteen and Jon Landau, the box set includes "Hammersmith Odeon, London '75," an astonishing film of Bruce Springsteen and the E Street Band's legendary 1975 concert at the Hammersmith Odeon in London; the new film "Wings For Wheels: The Making of Born To Run;" the classic album in remastered CD form; and finally, a 48 page booklet of previously unpublished photographs. With its two DVDs, the package offers approximately four hours of previously unseen footage. "I believe that the combination of the great 1975 concert footage, the brilliant documentary of the making of the album and the dazzling remastering of 'Born to Run' add up to a nearly perfect storm of Bruce's music," said longtime manager Jon Landau. Spanning roughly two hours and ten minutes, the November 18, 1975 concert at London's Hammersmith Odeon finds an epic performance of sixteen Bruce Springsteen and the E Street Band classics, including "Thunder Road," "Tenth Avenue Freeze Out," "Jungleland," and "Born To Run," as well as such other favorites such as "Kitty's Back" and "Rosalita." The multiple-camera film of the complete concert will be available in its entirety and its original sequence, as newly edited by Emmy Award Winner Thom Zimny. "Hammersmith Odeon, London '75" is the only full-length concert film ever released of Bruce and the E Street Band's first 25 years. Finally, the box set will feature a CD of the newly remastered 'Born To Run,' as well as a remarkable 48-page photo album of previously unpublished photographs with an introduction written by Springsteen. This is the first time Springsteen has allowed any of his catalogue to be fully remastered and he enlisted his longtime mastering guru Bob Ludwig to handle the job. The newly remastered version presents the masterpiece with striking clarity and presence. Widely regarded as one of the cornerstone albums in rock and roll history, 'Born To Run' has been recognized by many international polls as one of the greatest albums of all time. It has sold nearly nine million albums worldwide. 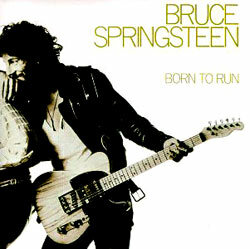 Of 'Born To Run,' which was originally released August 25, 1975, Rolling Stone wrote, "It is a magnificent album that pays off on every bet ever placed on him—and it should crack his future wide open."